Whitfield Head of School John Delautre awarded the 2018 Endowed Faculty Chairs at the annual Faculty and Staff Appreciation Dinner on Tuesday, August 14, 2018. These awards bring community recognition and encouragement to exemplary Whitfield teachers. 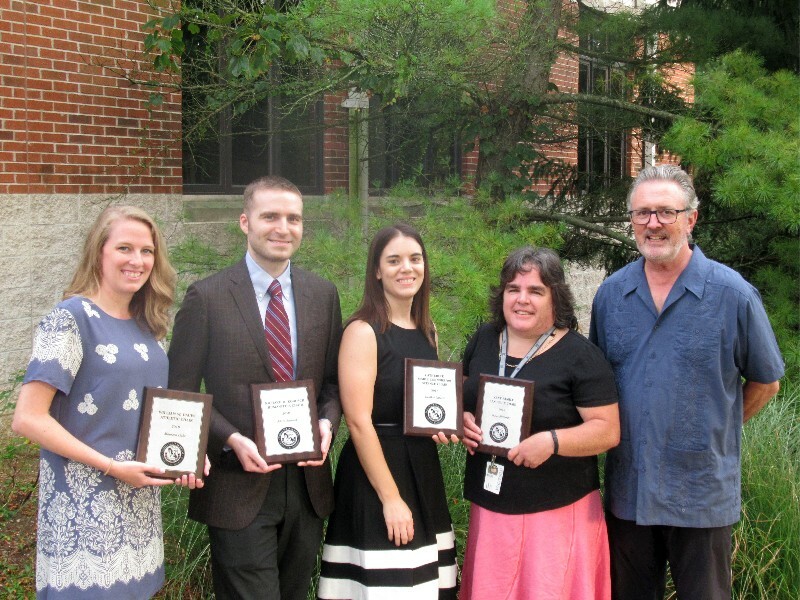 They also provide teacher-awardees with an annual stipend as a tangible sign of the appreciation of the entire Whitfield community for these teachers' hard work and leadership. Currently, the School offers six endowed faculty chairs; the Catherine Marie Connors ’89 Science Chair, the Jerry & Judy Kent Family Language Chair, the Richard B. Kobusch Humanities Chair, the Arthur & Helen Baer Foundation Visual Arts Chair, the Amy Allen Cano Performing Arts Chair and the William W. Daues Athletic Chair. With the exception of the Athletic Chair, each is held for two years. Two Richard B. Kobusch Humanities Chairs are held concurrently, with each awarded on alternating years. Endowed faculty chairs are established through generous gifts to Whitfield's endowment.